Spring has finally (FINALLY!) sprung in Minnesota, meaning garage-sale season is officially underway. (Thank heavens!) 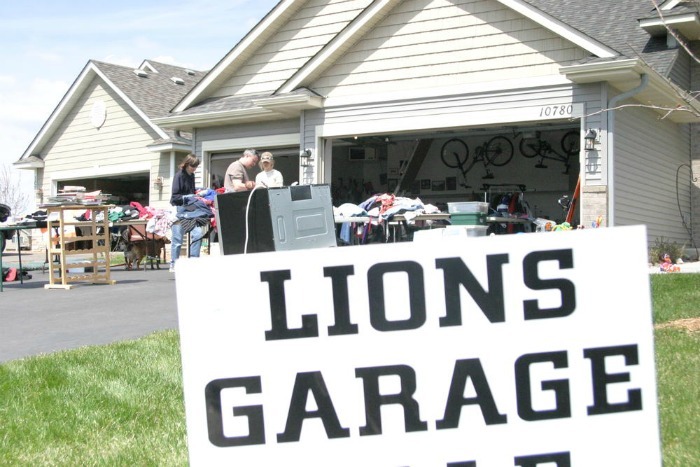 At the top of my list of sales to hit this spring is the Woodbury Lions Community Garage Sale, running tomorrow, May 8th through Saturday, May 10th. Now in its 37th year (!!! ), this mammoth event includes literally hundreds of sales, and is one of the biggest community rummage sales in the entire state. Detailed directories are available for $5 starting tonight through the weekend at the Woodbury Kowalski’s Market, Rainbow Foods, Cub Foods and most all area gas stations. To plan your trek in advance, download the digital directory now to your phone or tablet, available here. Sale hours are 8 a.m. to 5 p.m., tomorrow through Saturday. Photo c/o: The Woodbury Bulletin. This entry was posted in Uncategorized and tagged heads up, minneapolis, rummage sale, thrifting, woodbury, woodbury lions by highplainsthrifter. Bookmark the permalink.